I had been an email/internet user for about 5 minutes when I got tired of the fwd fwd fwd fwd email, subject line: “YOU MUST READ THIS! SEND TO ALL YOUR SINGLE WOMEN FRIENDS/PARENTS OF TODDLERS/ COLLEGE STUDENTS!!!!”. Right around the same time I discovered “Snopes“. Then I started sending the Snopes link that debunked the “Urban Legend” back to the sender. Eventually I just started deleting them, recognizing fakes more and more easily as time passed, becoming more and more jaded as Photoshops got better and the whole meme culture exploded. Recently I was thinking about Pranks and Practical Jokes. Kids in the current generation will never know the joy of dialing a random number and saying something stupid to a complete stranger while all your friends giggled and snorted behind you. But with caller ID and blocking, and legislation with teeth about harassment and stalking, that innocent rite of passage has gone the way of Twinkies and Tamagachis. 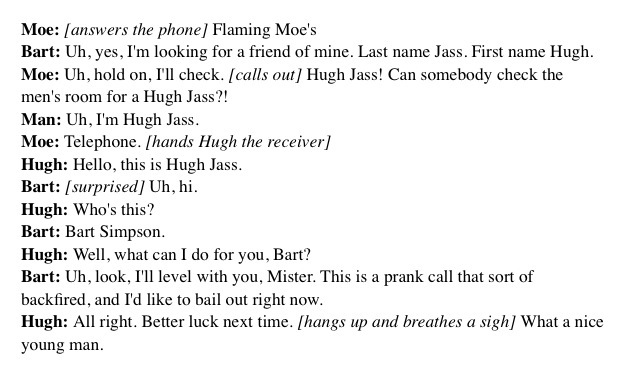 A recent news story made me think twice about the “innocence” of these pranks. It was all over the news in early December 2012– the Duchess of Cambridge had been hospitalized due to severe morning sickness, and the “news” had been leaked thanks to the antics of 2 Aussie DJs and a prank call. 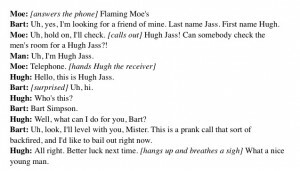 I got to thinking that I was uncomfortable about pranks and practical jokes, because they are so often mean spirited. In that case, it’s the prankster who must take responsibility for collateral damage. But in the case of hoaxes, I think the responsibility falls more in line with “Fool me twice, shame on me”. Just like the emails that warn of perfume samples that are actually chloroform, I’ve noticed I’ve become jaded, and usually I can spot a photoshop even before I study the lines and shadows. Like this one: Sharks in a Mall. Something in the wording and the “just too incredible to be true”, I knew it was a fake. This one made me hesitate, though: Waterslide. 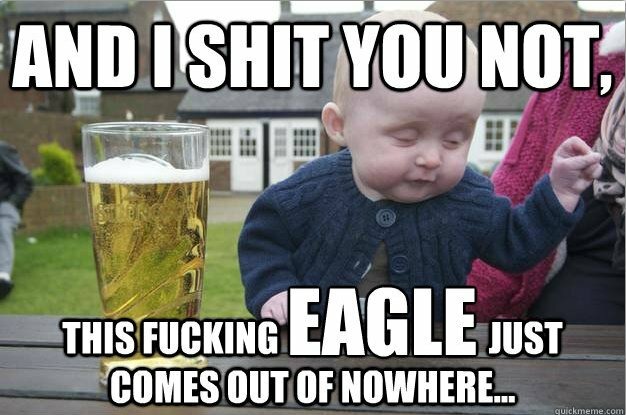 But the one that tricked me thoroughly was this one: Eagle Snatches Baby. So much so that I posted it on Facebook, and emailed it to a couple of friends. There were, in retrospect, a few clues. And again, it wasn’t in the technical, it was in the communication. The profanity, the shaky camera, the way the cameraman runs to the scene, all seemed legit. The slo-mo and the music at the end really should have tipped me off– just too cheesy. But I was already buying it. At least kids still play Nocky Nocky Nine Doors..